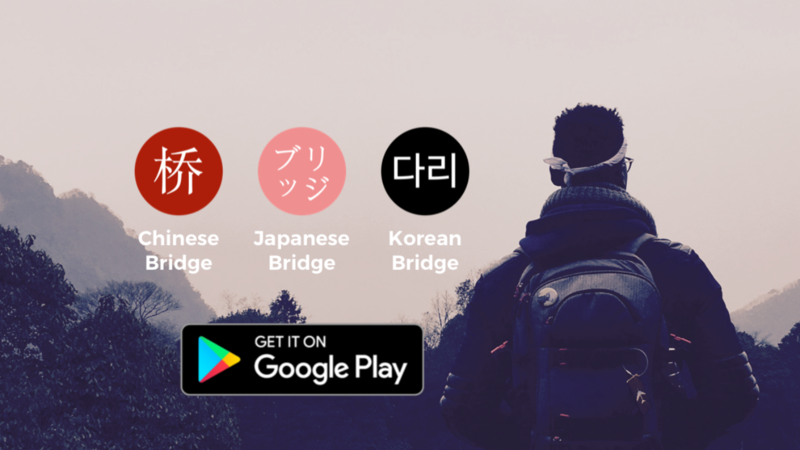 I finally released my asian language apps on the store: Chinese Bridge, Japanese Bridge and Korean Bridge. 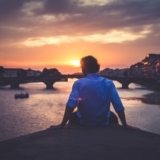 The apps are the same, they’re declined for these 3 differents languages. 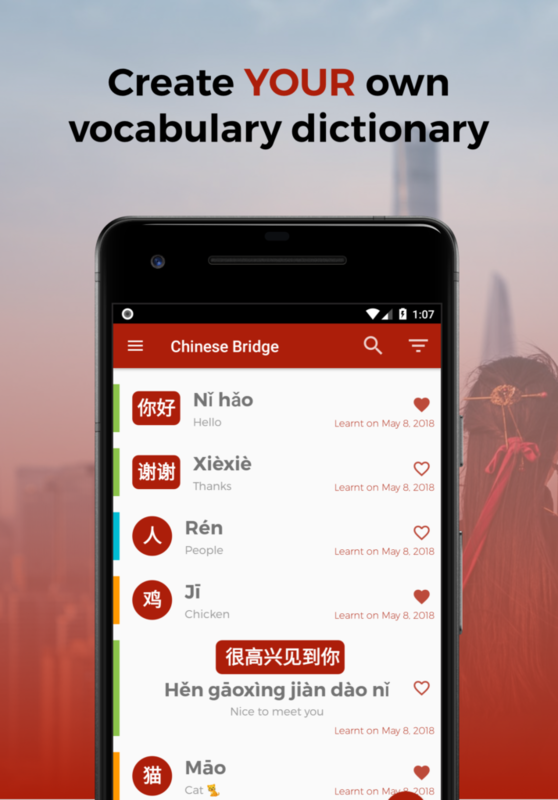 The apps are a way to quickly have the vocabulary you need in your pocket, while you’re learning a language. Being able to search and find instantly a bridge through all your bridges and even filter them. 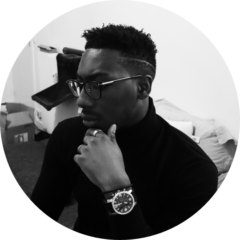 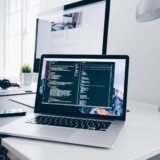 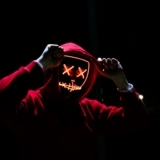 I’ve a bunch of others features to add to these apps, but if you have some ideas or something you want to see in, don’t hesitate to send me a message about it ! 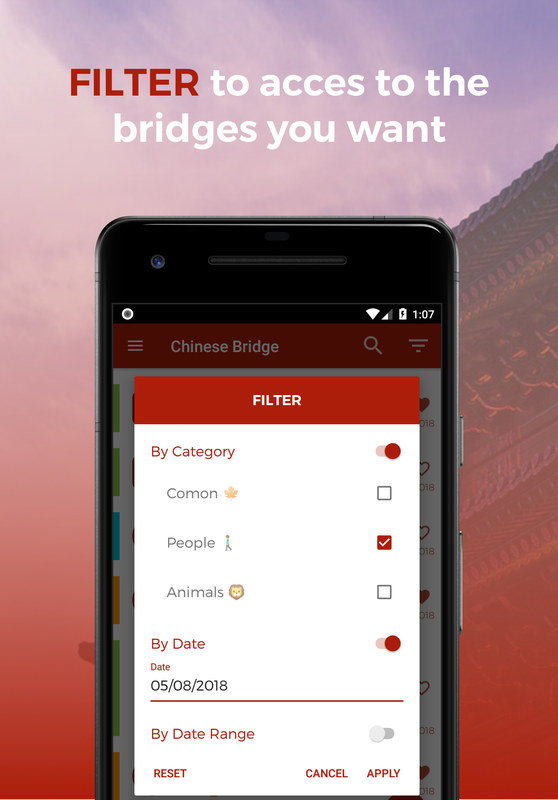 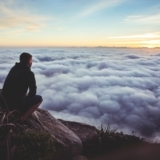 This version of the app allows you to handle all your Chinese vocabulary. 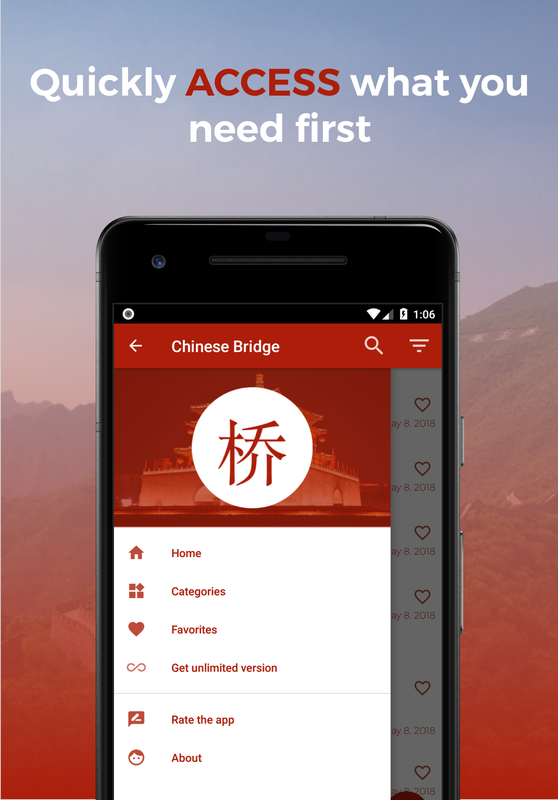 You can quickly access to the pinyin and translation of a word or a sentence. 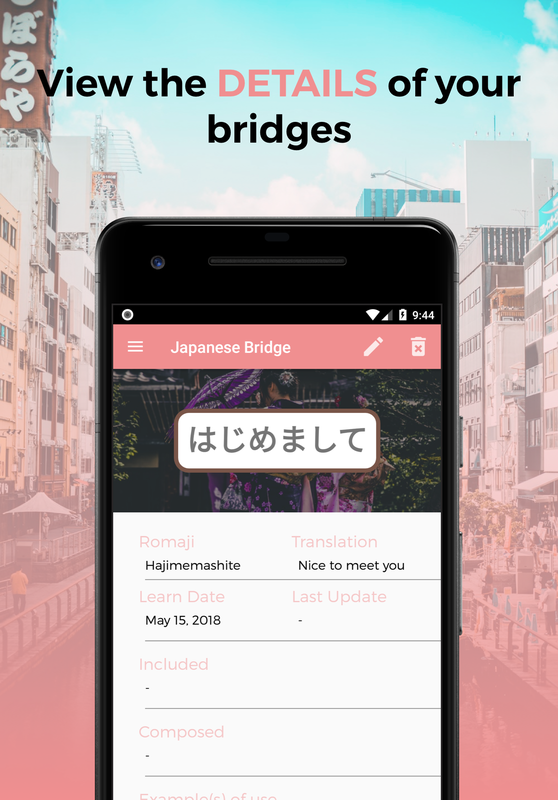 With the auto-binding, you can quickly see how is used a word or a sign in another bridge that you previously added. 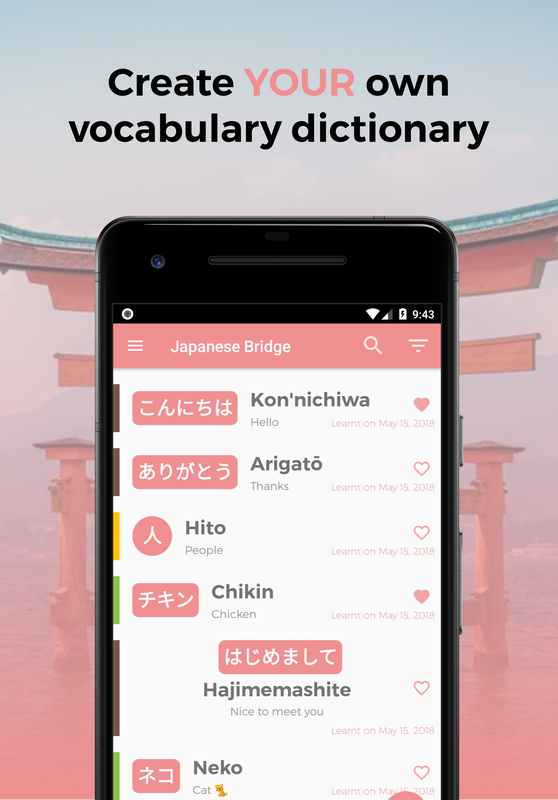 This version of the app allows you to handle all your Japanese vocabulary. 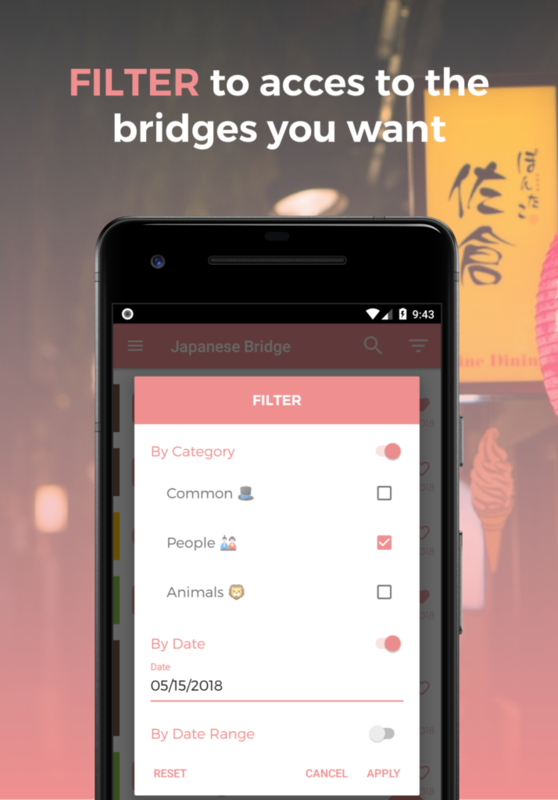 You can quickly access to the Romaji and translation of a word or a sentence. 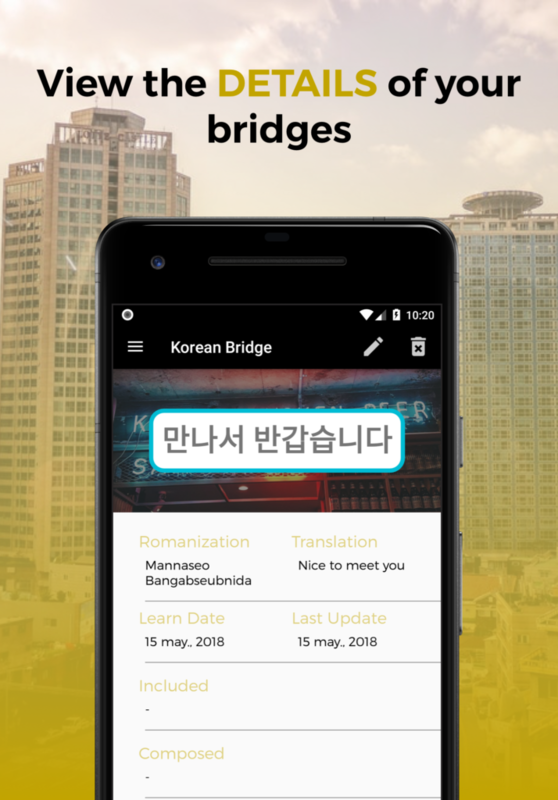 With the auto-binding, you can quickly see how is used a word or a sign in another bridge that you previously added. 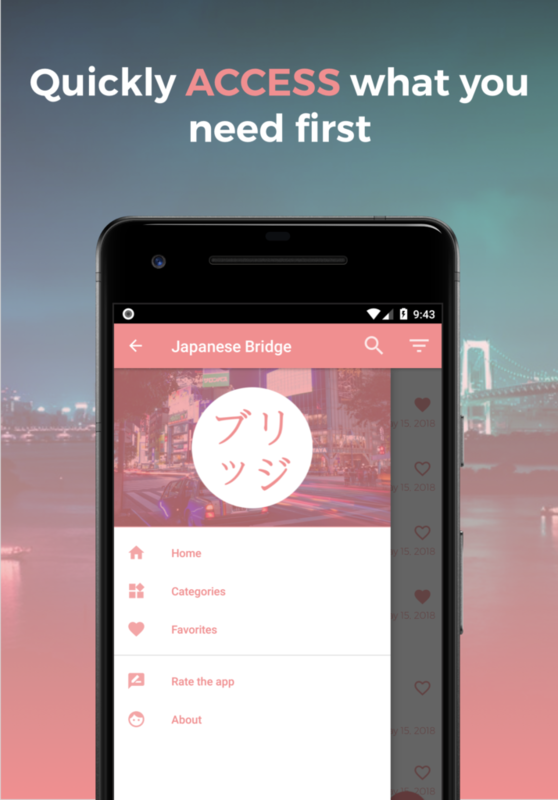 The app handle the Hiragana and Katakana. 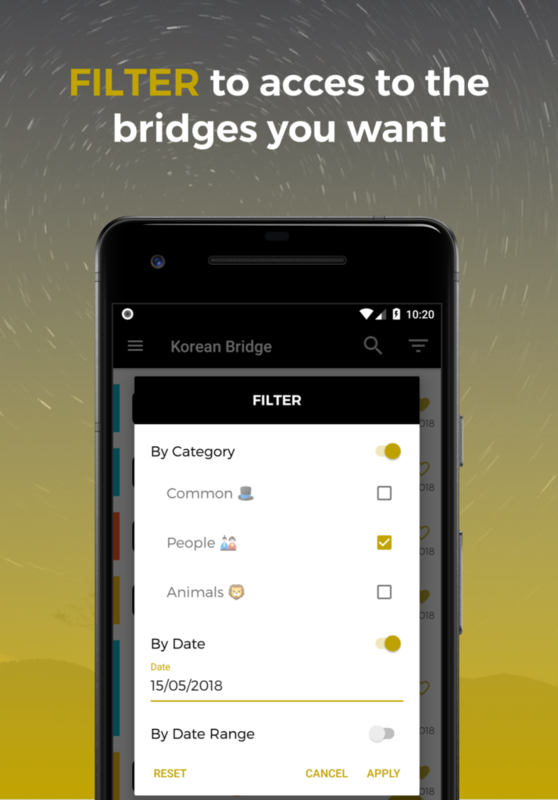 This version of the app allows you to handle all your Korean vocabulary. 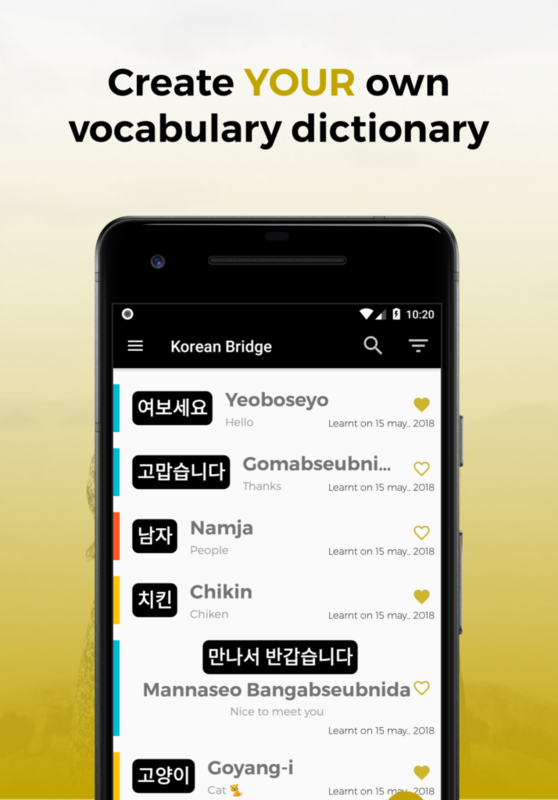 You can quickly access to the romanization and translation of a word or a sentence. 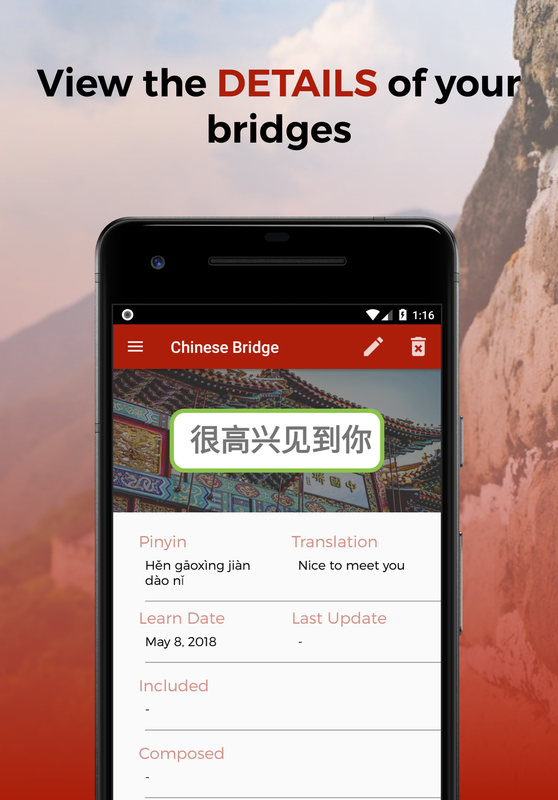 With the auto-binding, you can quickly see how is used a word or a sign in another bridge that you previously added. 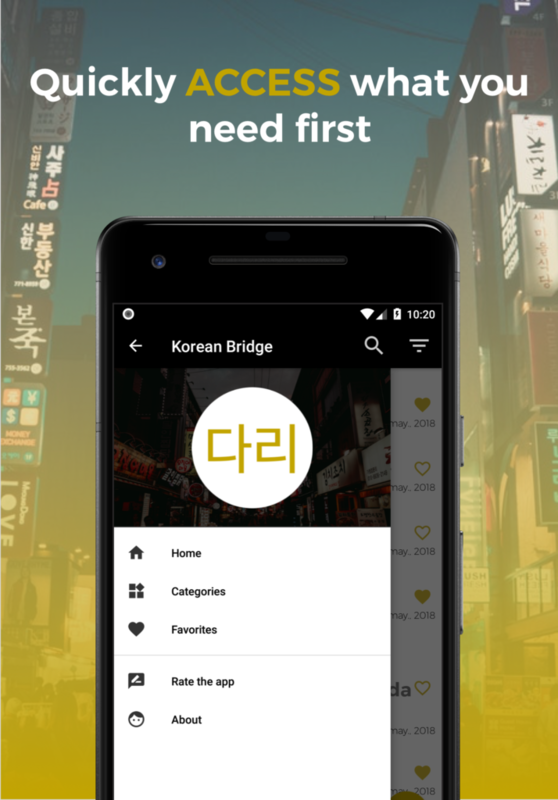 The app handle the Hangeul and Hanja.